Beginning on March 28 and coming to a close on April 7, Jewish Omaha is joining 13 other Jewish communities to visit our Partnership region in the Western Galilee. The trip has been inspired by a celebration of the 20th year of existence of Partnership2GETHER. It has been a great experience for first-timers and returnees alike. In addition to the wonderful hospitality and programs we experienced with our Central Area Consortium partners and visiting the beautiful Western Galilee, one of the many highlights was touring the northern borders of Lebanon and Syria with Colonel Kobi Marom (retired). He spent his military service commanding troops who were protecting Israel in the North. In his retirement, Col. Marom continues to serve as one of the leading experts on security and counterterrorism. We were quite fortunate that he was available to meet with us and lead a tour and provide a historical account of the area. He briefed us on the situation in Lebanon with Hezbollah and discussed the current fighting in Syria as it impacts Israel. He also spoke of the recent nuclear agreement with Iran and the potential problems it poses for Israel. (Dennis Ross will also give his opinion on the nuclear agreement with Iran on Tuesday at UNO. Please join us...see below for additional details). When we visited the Western Galilee Medical Center, we learned that the hospital has treated over 1,000 wounded Syrian refugees. They were transported into Israel by the Red Cross and received medical attention before being transported back to Syria. The Western Galilee Medical Center is one of three hospitals in Israel treating these refugees. Sadly, this humanitarian effort is rarely acknowledged by the outside world. Your generosity through our Annual Campaign has supported this vital facility for many years. In fact, some of you may recall that, following the second Lebanon War in 2006, the Federation's Israel Emergency Fund raised dollars to help build an underground hospital at the Medical Center. As the hospital is less than 5 miles from the border with Lebanon, they are now fully prepared to continue providing necessary services even when under attack. Today (April 1) acclaimed Jerusalem Post journalists Gil Hoffman and Khalid Abu Tomaeh briefed us on their view of the American, Israeli, and Palestinian political climate of the area. Following the talk the group toured Yad Vashem and Mahane Yehuda. We ended the day by bringing in Shabbat at the Kotel (Western Wall). We look forward to sharing additional stories and photos upon our return. 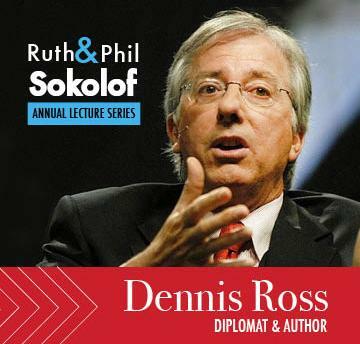 Distinguished diplomat and author Dennis Ross will be the keynote speaker for the Ruth & Phil Sokolof Annual Lecture Series Tuesday, April 5, 2016 at 7:30 pm at the Thompson Alumni Center on the UNO Campus. Throughout his prestigious career Ross has focused on Middle East Policy. His topic for the evening is "U.S.-Israeli Relationship from Truman to Obama." The Schwalb Center and the Jewish Federation of Omaha are pleased to welcome Ross to Omaha through the support of the Sokolof Family Foundation, Phillip & Terri Schager Supporting Foundation, and Shirley & Leonard Goldstein Supporting Foundation. The lecture is open to the public free of charge. Chaim Silberstein, former president of "Im Eskachech - Keep Jerusalem", a public policy and advocacy organization, will be the Scholar in Residence at Beth Israel Synagogue on April 1 & 2. Highlighting the events will be his Shabbat Sermon "Whose Jerusalem is It? Who Does Jerusalem Belong to...Historically, Morally, and Under International Law?" For a full list of events, click here. 3 on 3 basketball tournament . 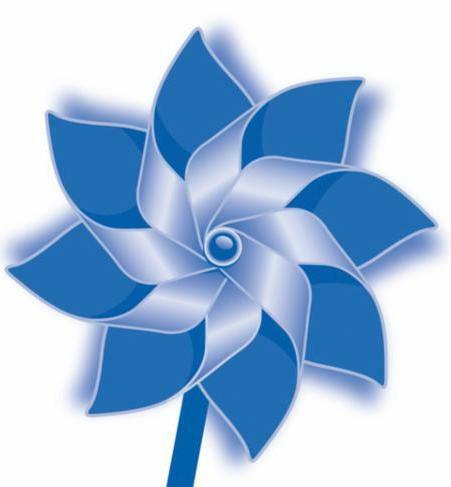 April is Child Abuse Prevention Month, and Jewish Family Service joins Prevent Child Abuse Nebraska's Pinwheels for Prevention® campaign to promote healthy child development and positive parenting. To read more about the Pinwheel Garden, click here. Hear Kosher classics like: "Jews Don't Camp", "The Yom Kippur Blues", and "Saying Kaddish at the Roadkill Cafe". This event is free and open to the community. 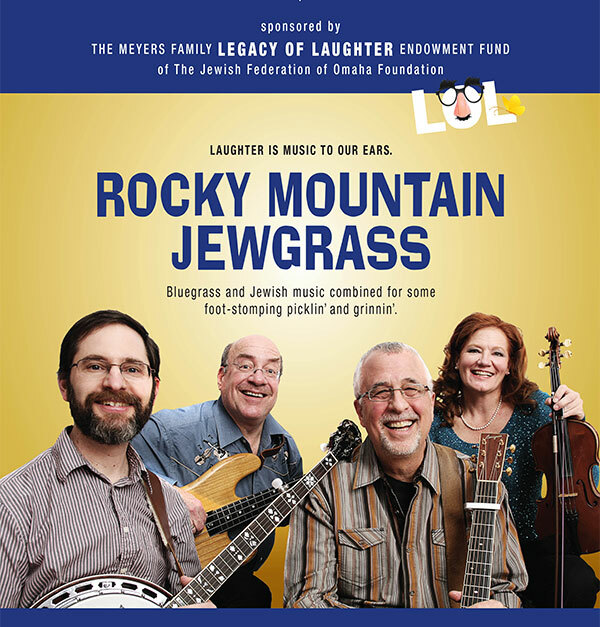 Sponsored by the Meyers Family Legacy of Laughter Endowment Fund of the Jewish Federation of Omaha Foundation. 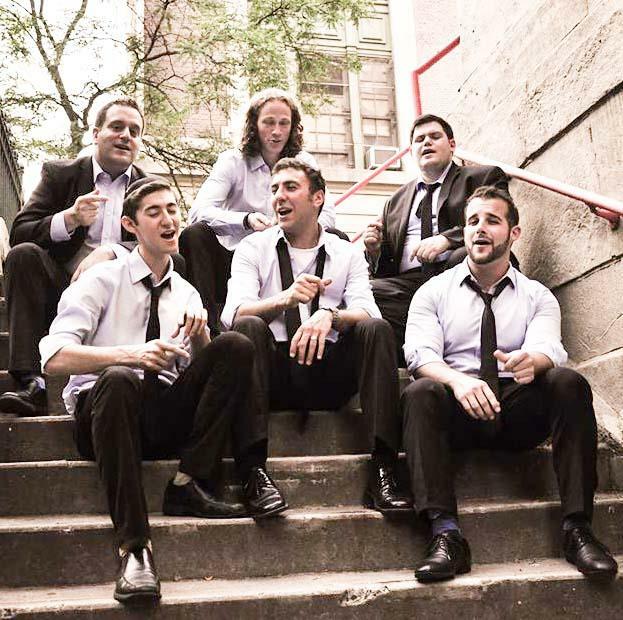 Six13 is a six-man vocal band with an unprecedented style of Jewish music. Featuring songs ranging from hip-hop dance tracks to rock anthems, the group sounds like a full band - while using nothing but their voices. The performance is a benefit for Beth El's Youth Scholarship Fund. Register for JCC Summer Camp! According to Jewish Law, you must prepare yourself for the High Holidays 30 days in advance. 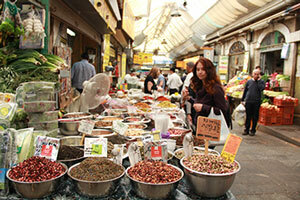 Take THIS Passover Quiz to help your preparations. Community Shaliach Eliad Eliyahu is a reliable source of information for current events in Israel. He is also well-versed in the history of the Jewish people. He shared with us some speculation of what it would be like if Moses were living in the 21st Century - Moses clicking on the keyboard. Think about THAT. And while Passover is familiar and practiced by Jewish people everywhere, THE OTHER THING is that it can be a bit of a mystery for non-Jews. As a reminder about Passover for Jews and an overview of the holiday for non-Jewish E-NEWS subscribers, here is a brief video. As of April 1, we have reached 95% of our goal totaling $3,165,598. Over 100 works of art will be on display for the month of April in the JCC Gallery, all created by Omaha middle school students based on their studies of the Holocaust. Screening of the film, "Swimming in Auschwitz"